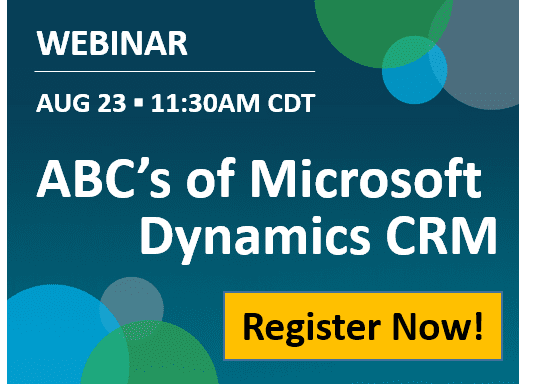 On Tuesday, August 23, 2016 Ledgeview Partners will be hosting a free webinar to explore Microsoft Dynamics CRM. This high level overview will focus on three key elements of CRM – Sales, Marketing & Service. But what can a solution like Dynamics CRM do for your organization? A CRM solution (such as Microsoft Dynamics CRM or Salesforce) enables companies and organizations to market smarter, sell effectively and productively as well as provide customer care – wherever and whenever it’s needed. If you think about it, the process of engaging customers can’t be one-size-fits-all. It needs to be adaptive across all touch points and within the context of who your customer is and what they are doing. CRM solutions like Microsoft Dynamics helps companies deliver exceptional customer experiences that create long-term relationships based on knowledge and trust.